Crealy Passport to the Park! Radio Exe is having a party! An exclusive Crealy Great Adventure party and you, along with 49 of your friends could be invited! First though, we need you to find Buddy the Bear. He's hiding and you need to figure out where. Chris Dinnis has 5 locations and 5 passports. He'll be giving a clue a day from 11am until Buddy is found at each one. The reward will be a passport to the park, for you and your 49 friends! You'll be invited to the party along with the Radio Exe Crew and be among the first to ride the new TWISTER! 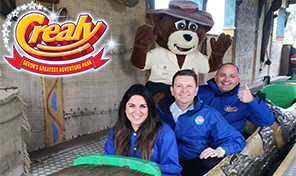 Listen live for your chance to win this amazing prize with our friends at Crealy Great Adventure. 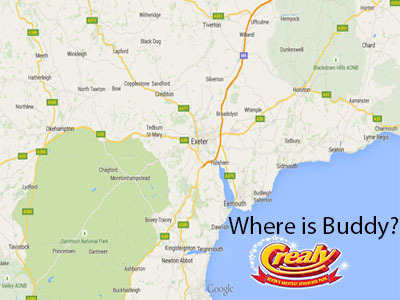 Devon's Crealy Great Adventure Park is an award winning family attraction located just minutes from junction 30 of the M5 near Exeter. 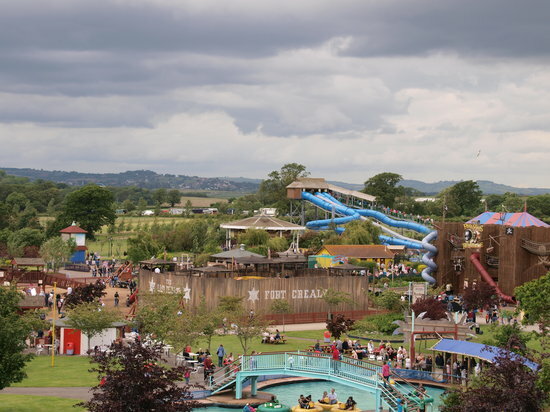 The Park has over 60 rides and attractions set in over 100 acres of glorious Devon countryside. Don't forget every Sunday 12-2pm, the Crealy Jukebox!